Perfect for spacing your wheels. Use alone, with speed rings or double up to fine tune your wheel width on any setup. 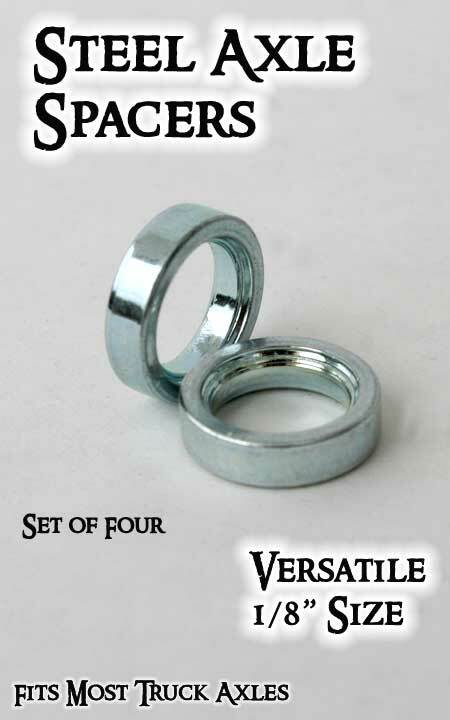 Steel material in a polished silver finish -- strong and they look nice too. Spacer size is: 1/8" and fits most trucks axles including 5/16" and 8mm axles. We use these spacers regularly for truck upgrades and when building completes -- and now you can too. Sold in packs of four spacers.